It’s nearly that time of year again and we’re looking forward to getting our fantastic Christmas charts out for the swinging Christmas version of our show. Nothing sets up a Christmas party better than the sounds of Classic Christmas tunes, stealing in the Vintage big band sound and style that The Mini Big Band specialise reproducing. We still have some availability over the Christmas period so if you’re looking for a Swing Band for your Christmas Party or function please get in touch. Please also have a listen to some of our great Christmas arrangements on our listen page. Jason and Victoria, August 2014 – Harrogate. We wanted to say thanks for playing at our wedding. The band were amazing and got lots of people up dancing. We found the booking process to be easy and you were flexible in your approach throughout. 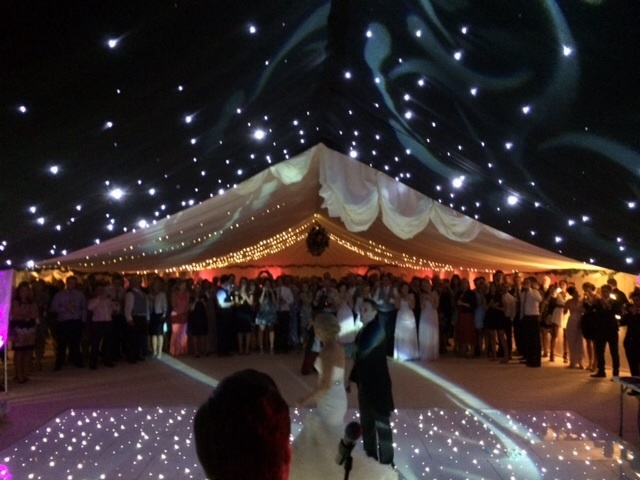 All our guests commented as to how perfect the band were and how well it fit in with the feeling of the day. We couldn’t recommend you enough. from Victoria and Toms fantastic wedding near Scunthorpe. 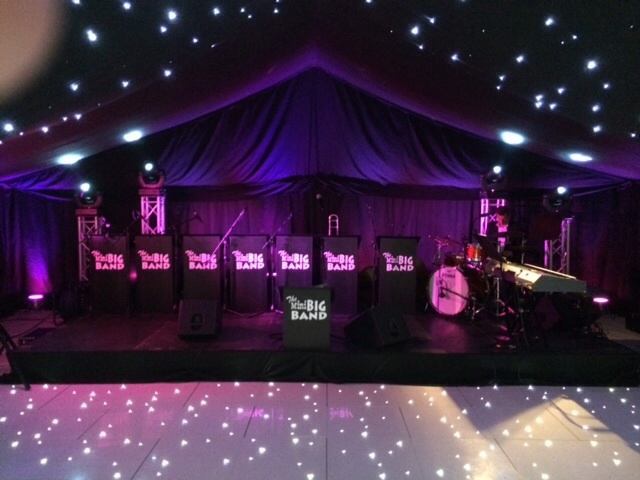 This was a great marquee set up in which the stage and the dance area looked fantastic. What a great party.